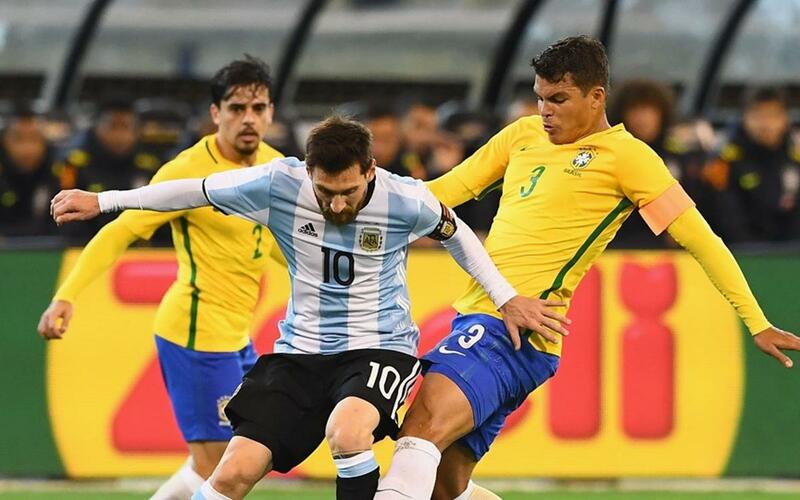 Leo Messi helped Argentina to a narrow victory over rivals Brazil in a friendly match in Melbourne on Friday (1-0). In what was a cagey affair, it took a while for either side to muster any sort of clear opening, with the best chance early on falling for Di Maria, who hit the post with a powerful effort. The goal eventually came on the stroke of half time, as Mercado was on hand to tap home from close range. Brazil had the better of the second period, and hit the post in quick succession; first through Gabriel Jesus on an open goal before Willian hit the other post on the rebound. Argentina, on what was Jorge Sampaoli’s first match as manager, held on for the win.